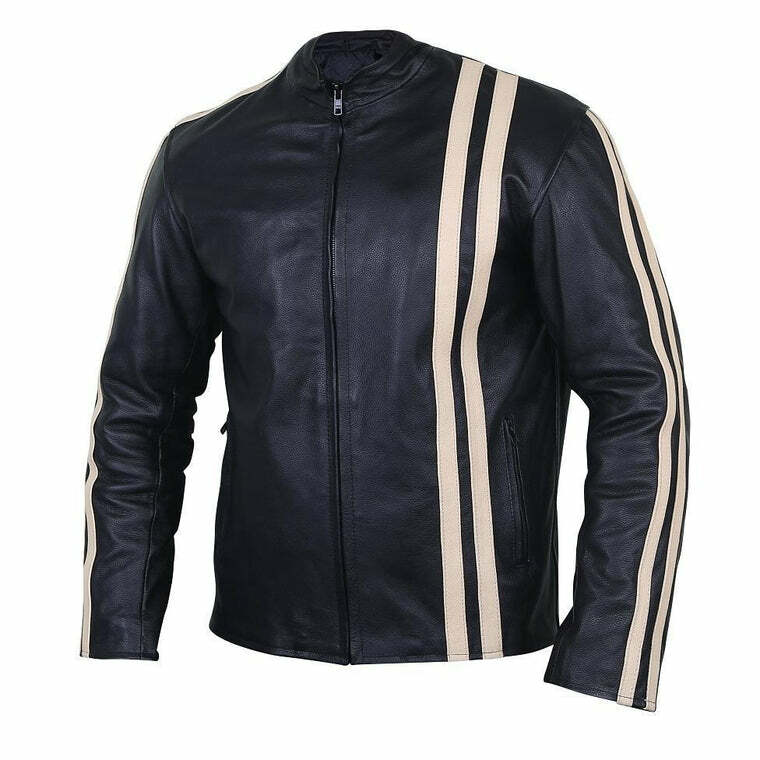 A classic black and white leather jacket that will give your simple outfit a unique twist. 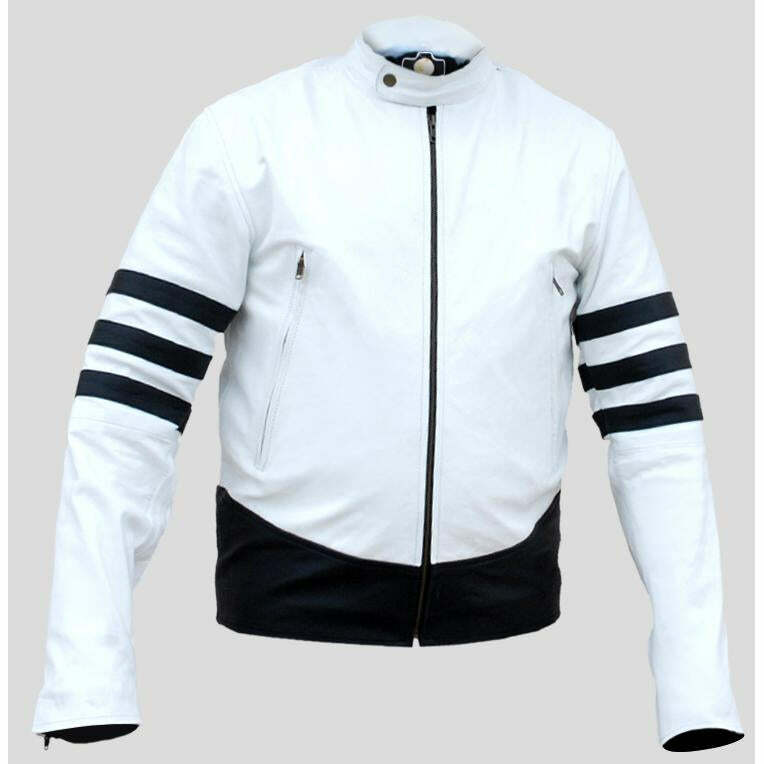 The black leather jacket patches on the smooth white fabric make this garment stand out and give it an everlasting vibe. 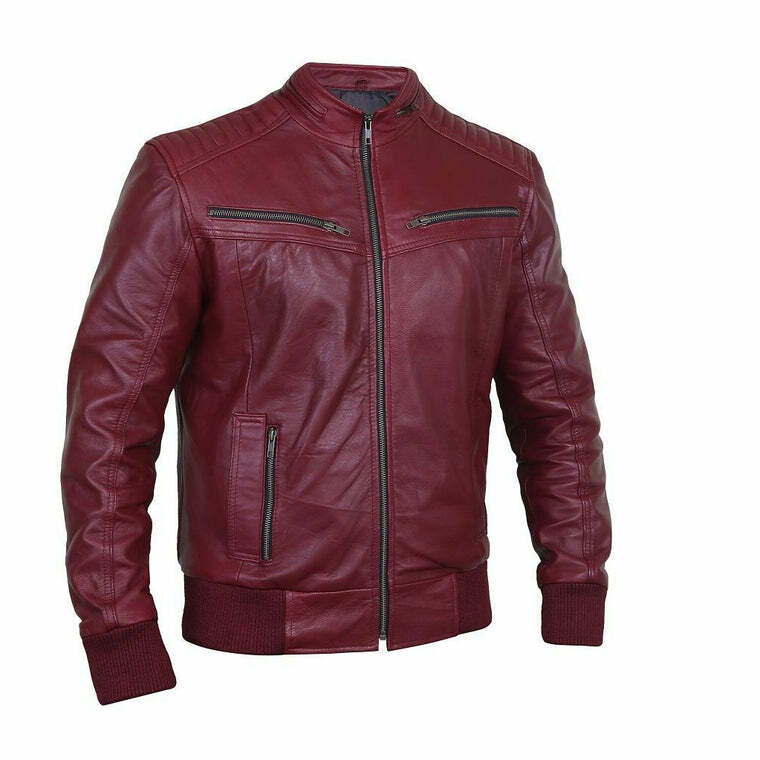 Pair with simple jeans and t-shirt, and make a style statement that turns head! 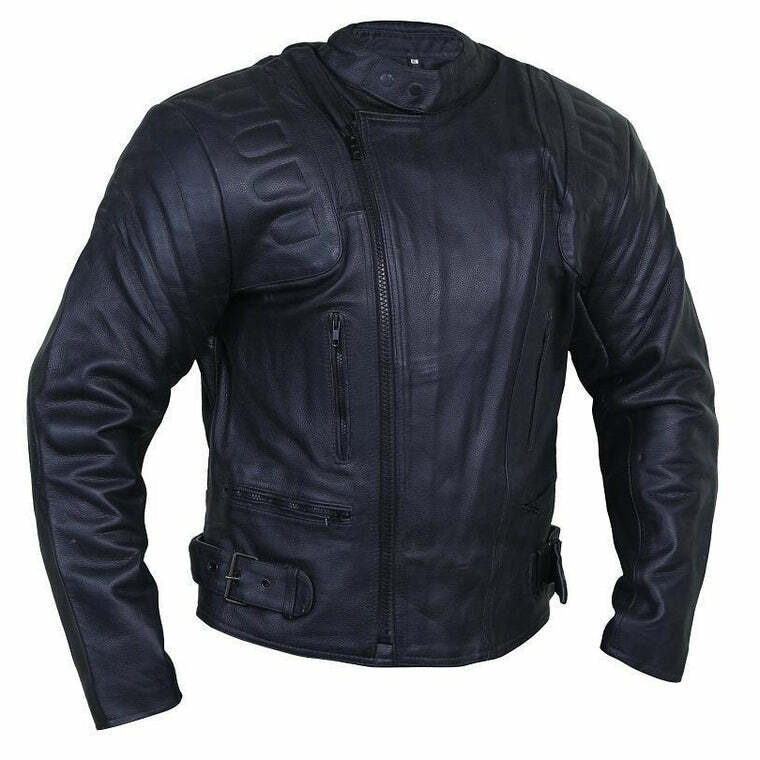 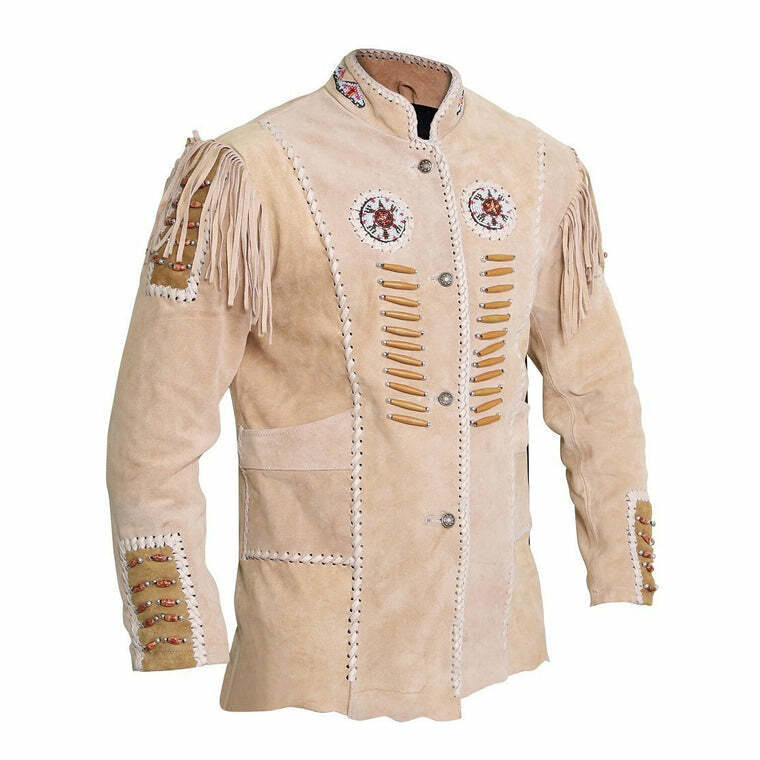 The leather jacket patches on the sleeves are added with great attention to detail. 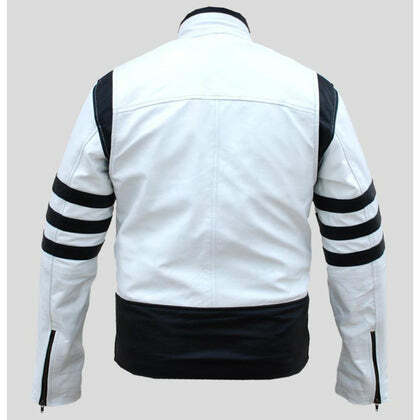 It is lined with top-quality zippers from YKK Zippers, who are renowned all over the world for their exceptional quality. Want to give off a sophisticated, polished vibe? This white leather jacket with black patches is the perfect outfit for that look. 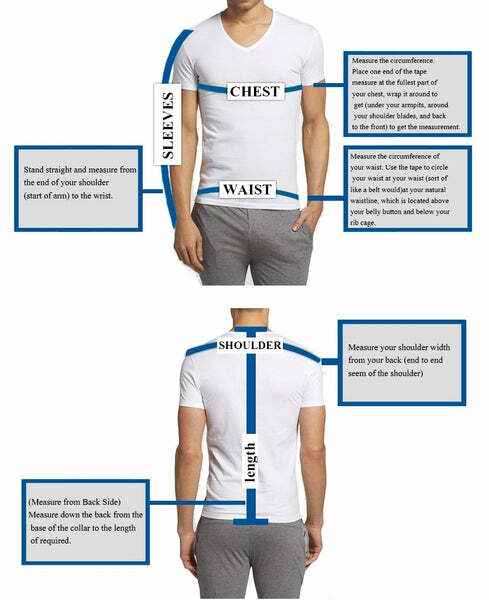 A comfortable fit with a timeless appeal!